Classic Bus Sales is proud to announce we are now a Turtle Top Dealer! Turtle Tops has been a leader in manufacturing small to mid size buses for over 50 years. 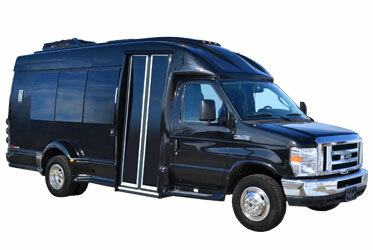 They have defined the landscape for Executive Transportation Equipment, as well as everyday shuttles and we are excited to become a part of the Turtle Top Family. Why do churches buy used church buses? A Classic quality used bus will allow your congregation to come together in many ways. Providing reliable transportation assures your members will continue to attend services if they are no longer able to drive themselves. Many churches use their church buses to expand the number of events their congregation can attend and buses are a much safer form of transportation than other available options due to the strength of construction and size of the vehicle. Why buy a MFSAB? Multi Function School Activity Buses (MFSABs) offer a variety of different size configurations with enhanced safety standards. Child Alert Systems, Fire Extinguishers, First Aid Kits, Triangles and Back-up alarms are common equipment on a MFSAB. Looking to Sell your Bus? If you would like to trade or sell your bus, Classic Bus Sales will give you a quote for the fair market value for your bus. Contact us for more information. Classic Bus Sales is based in Atlanta, GA. We buy and sell buses in: Georgia, Florida, Alabama, Tennessee, Mississippi, North Carolina, South Carolina and throughout the United States.